The corporate governance structure at the house of Tatas is still not up to the mark despite assurances from the top management to investors that it would be improved soon after former chairman Cyrus Mistry was removed on October 24 last year, said Nirmalya Kumar, a close aide of Mistry. 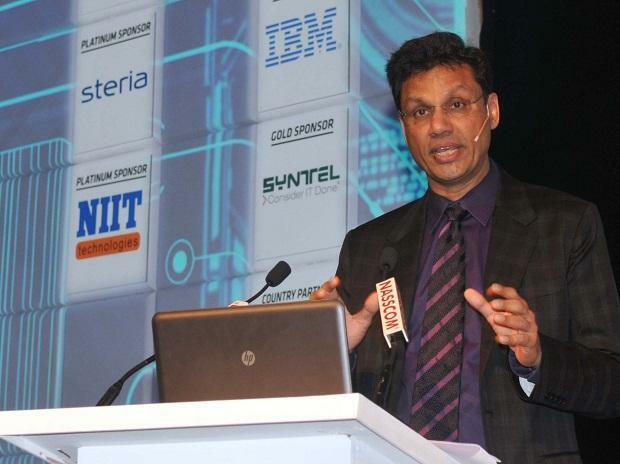 Kumar, who is currently Lee Kong Chian Professor of Marketing at Singapore Management University and Distinguished Fellow at Insead Emerging Markets, said the corporate governance lapses in Tata Sons and Tata Trusts, as pointed out by Mistry, are not being rectified and Mistry would continue to fight for better governance structure in the Tatas. Kumar said that while this was not his area of expertise, his understanding of Tata Sons converting itself into a private company was that it would reduce transparency of the workings of the company, which is important for the nation. “With the company becoming private, it would be subject to less stringent governance standards. Is it in the interest of the country when Tata Sons is so central to the lives of millions of Indians? We need to ask this question,” said he. Kumar said the turnaround script followed by Mistry’s successor, N Chandrasekaran is broadly similar to what Mistry had prescribed to Tata Sons board last year to tackle the "legacy issues". “Mistry was negotiating with Vodafone India for a merger with Tata Teleservices which included Tata Communications and Tata Sky as well in return for a stake in the merged entity. The deal could not go through as Mistry was eased out,” Kumar said. The Bharti-Tata Teleservices deal does not give any stake to the Tatas, so Airtel gets the 40 million customers and spectrum for free, he added. Similarly, the Tata Steel and ThyssenKrupp deal was in the works for the last three years with Tata Steel CFO Koushik Chatterjee negotiating on behalf of the Tatas. “Thyssenkrupp had made it clear that before any merger, the company will have to sell non-profitable British units, restructure the UK cost basis, invest in technology to upgrade the old British plants, and find a solution to the pension scheme of British workers that was draining the company. Chatterjee and his team worked furiously to achieve this and make Corus a viable partner. This allowed Chandra to sign the final merger deal this year,” said Kumar. On Tata Motors, Kumar said Chandra has talked about increasing return on capital employed (ROCE) of group companies. “If Chandra wants to increase ROCE and does not want to take “emotional” decisions, then I suspect he will wield the axe on Nano as pointed out by Mistry last year," said he. Kumar said post his exit from the Tatas, he is focusing on his academic career and the events at the Tata group gave him an inside view of the Tata group. “Just 11-12 people at the top does not make the Tata group. It’s the group’s 650,000 employees who are working hard to make the group what it is. Mistry will continue to fight for them,” said he.